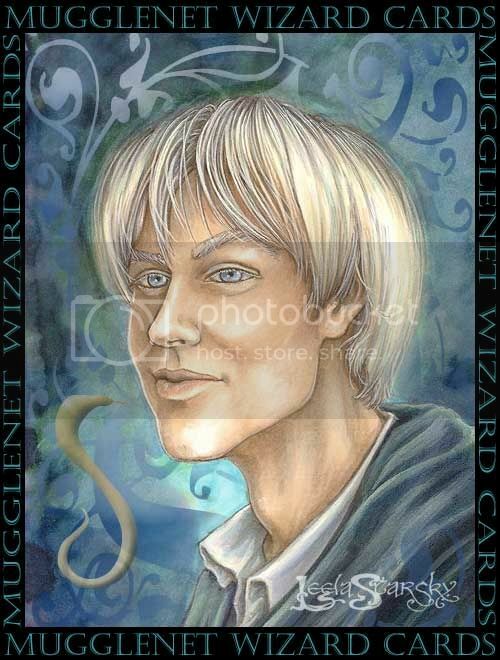 More of the Wizard Card art for Mugglenet Interactive! Both of these were rendered with Copic markers, pastel and gouache. Draco's background has details added in Photoshop. This one was Hi-Res CG. Oh, these are so great! ♥ I love the DA one! Oh man that Ron. I love those fine hairs blowing, and his eyes as well as Draco's are just sooo blue and dreamy. I like the picture below as well, your coloring is really amazing. They're wonderful,but i love Ron!! In this pic is so sweet! 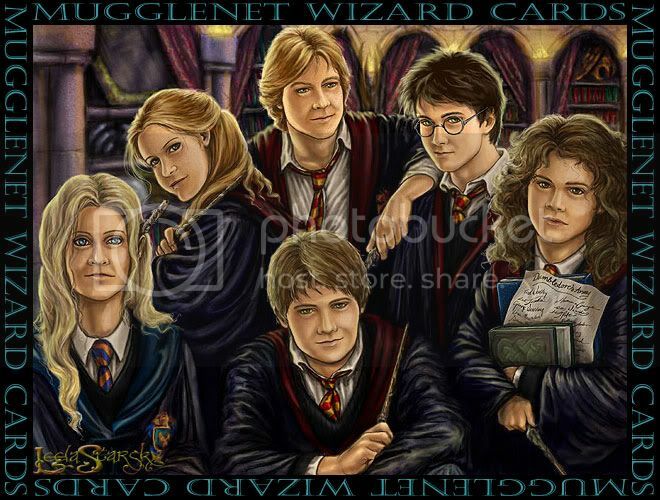 Ron is gorgeous and Draco is too (even though I don't like him much ;-)) and love the DA picture! I love the D.A. one. Of course the trio, and Ginny are my favorites heh. I like the DA one, particularly Ginny and Luna ('protuberant eyes'!) in that. 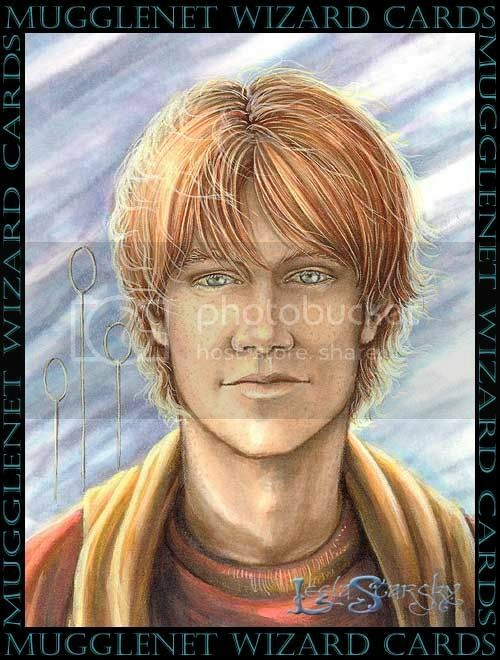 But, for redheads, the Weasley's hair looks awfully brown?? I like confident!Quidditch!Ron. Other ones good too. I'm staring at the DA one.